Louise Zhang is a Chinese-Australian artist based in Sydney, Australia. Spanning painting, sculpture and installation, her work negates the space between the attractive and repulsive. With an interest in horror cinema, particularly body horror, Zhang investigates the idea of the visceral as medium, method and symbol in negotiating horror as art form. 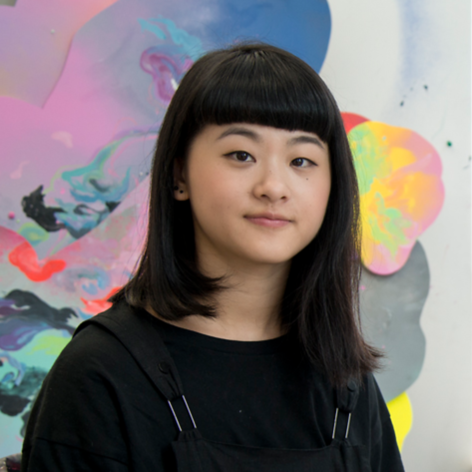 Zhang graduated with a Masters of Fine Arts by Research at UNSW Art & Design (formally COFA) in 2016. She recently completely residency programs at the Institute of Provocation, Beijing (Australia Council) and at Organhaus, Chongqing (China Residencies and Copyright Council) centring her research around the construct of diyu (Chinese hell).